Dr Doirean Wilson is Diversity Lead at Middlesex, assigned to take forward a University-wide programme of engagement, demonstration projects and her legacy work on diversity in teaching and learning. This includes her bespoke diversity awareness introductory exercises, and diversity healthcheck initiative. She is also employed as a Senior Lecturer specialising in Strategic HRM, Professional Practioner and Community Engagement. Doirean holds a Doctorate in Professional Practice (D.Prof), a Masters degree in Human Resource Management (MA HRM), a Postgraduate Certificate in Further Education (PG Cert Ed FE) and a post graduate Certificate in Management Studies (CMS). She is a Senior Fellow for the Higher Education Academy (SFHEA), a Fellow of the Royal Society for the Encouragement of Arts Manufactures & Commerce (FRSA), Fellow European Institute for Spirituality in Economics and Society (SPES), and a Fellow of the Chartered Institute of Personnel Development (Chartered FCIPD). Doirean is a member of the University's Management Leadership & Organisations (MLO) academic department based at the Business School, and during her tenure she has successfully led nine postgraduate programmes including the Executive MBA and MA HRM Work-Based Learning programmes, in addition to twenty undergraduate and postgraduate modules. She is an External and Internal Coach and Staff Mentor for the University’s UKPSF Recognition Scheme, and a member of the `Equality, Diversity & Inclusivity` policy shaping Committee. Doirean is Chair of Middlesex’s `Race Religion & Beliefs Forum` and a member of the Gender & Diversity Research Cluster. Her external activities include her membership of the prestigious `Academy of Management (AOM) `Diversity and Inclusion Theme Committee` and the AOM’s Best Practice Sub-committee. 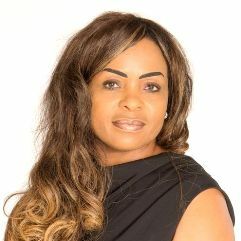 She is a UK Lifetime founding member of the `Women’s Executive Network` (WXN), Advisory Board member of GUBA (Ghana UK Based Achievement Awards) Board, Trustee `Nubian Jak Charitable Trust`; Advisory Board Member `African and Caribbean Memorial Project Board`. Doirean is also expert advisory board member for BIPADA (Boulaye International Protocol & Decorum) training, leadership and personal development Academy founded by CEO Patti Boulaye OBE. She is also former consultative advisor for the Department for Education's Qualifications Curriculum Authority (QCA). Prior to her career at Middlesex where she is recognised as an expert and significant figure in the area of diversity, Doirean's previous roles includes manager of five government community projects, Business Training Coordinator, Tabloid Journalist, Television Presenter, Lyricist for Cougar Records, and Business Consultant. Her research areas include, cross-cultural teams, diversity management, religion & spirituality, gender disparity, leadership and management, which are topics that reflect her published works. Doirean is also a commissioned artist who has exhibited her research paintings in the Maria Azumpta Centre based in Kensington London, and more recently at the Bank of England. This paper is being used by Knut Ims Professor in business ethics at the Department of Strategy and Management at the Norwegian School of Economics in Bergen, in his ethics programme that caters for 120 students from 28 courtries. Woo, H., Wilson, D., Liu, J. (2001): `Gender Impact on Chinese Negotiation: Some Key Issues for Western Negotiators` Women in Management Review Vol. 16 No 7 & 8. Wilson, D. & Liu, J (2001):`New Job, New Millennium, “Same Deal for Women Managers`. Women in Management Review Vol. 20 No. 4 MCB University Press. Wilson, D. & Liu, J (2001):`The Unchanging Perception of Women as Managers` Women in Management Review Vol.16 No. 4 MCB University Press. Wilson, D (2016): `For richer or poorer in sickness or for wealth: What price consumerism?` Integral Ecology, Earth Spirituality and Economics. Annual European SPES Conference May 27-29 2016, Bodo, Norway. Wilson, D & Baruch, Y (2013): `Cultural Diversity: A Gateway to Business Success or the Honey Trap? Speaker of English as a first language and basic conversational French. Besides being Editor in Chief for `Inclusivity in Practice` the diversity awareness best practice professional handbook for corporate leaders (http://inclusivityinpractice.co.uk/); and her Diversity Lead role, Doirean is currently module leader for two final-year undergraduate modules. One module is `Consulting in Organisations` and the other is `Equality Diversity and Inclusion`, which she created from her research on the topic. These two modules that have grown in popularity over the years, provides students with the opportunity to apply theoretical concepts and theories taught to practice to the benefit of `real` business clients. For example the business students work in diverse teams to identify business solutions and the diversity students of mixed abilities work in teams to produce diversity awareness toolkits for industry. Both these modules are offered to Middlesex students in the Dubai region. Spirituality and fashion: is this merely a creative meeting of minds? For richer or poorer in sickness for wealth: what price consumerism? Involved in team that secured £45,000 for Middlesex & British Council research bid (ref. Appendix); secured two Learning & Teaching Project-Scheme grants (Sole PI), for £1,000 & £2,000 respectively (2010-2011 & 2014-2015), to make diversity films. Included in £3.25m Middlesex & HEFCE bid (2017) to establish frameworks for Diversity & Inclusion (ref. Appendix). Diversity Conference launched (23/09/2014) brought in business via Winmark Global and Stonewall. In addition to other external membership activities, Doirean is also a member of Winmark HR Directors Network editorial board and project team. This network is regarded as "the world class standard in the management of membership communities" boosting more than 1,000 directors including a range of member organisations including BSKYB, Cable & Wireless, Rolls Royce and the Standard Chartered Bank.